As a resident of Northern Ireland, you may well be shelling out far too much for your bike insurance. In fact, you've probably already discovered that arranging motorbike insurance in Northern Ireland can be a surprisingly tricky task. A large number of the household-name, nationally operating insurers and brokers don't even offer cover in Ulster, those that do almost invariably increase their rates dramatically, because of a perceived greater risk. As a result of a lack of effective competition, local brokers and insurance companies in Northern Ireland have not felt any pressure to reduce their prices. 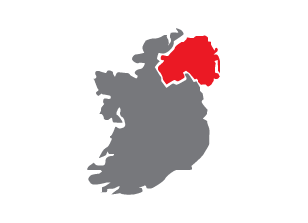 At Bikesure, we've taken a look at the statistics, and have adjusted our rates to address these issues - indeed we've written some entirely new schemes tailor-made for Northern Ireland residents. And we have confidence that our prices are very competitive throughout Ulster. The insurance industry within Northern Ireland has always been very different from that in the rest of the United Kingdom. Having a relatively open land border with the Republic, insurers were worried by the possibilities of complex cross-border claims. They also lacked the network of assessors, body shops and parts suppliers to enable them to effectively service claims. Nowadays, these issues are largely a thing of the past, as closer EU ties have meant that claims jurisdiction is no longer a significant issue, and the much improved distribution and transport networks, along with the huge advances in communications have made Northern Ireland much more accessible. As a result, there can be no excuses for hugely inflated insurance prices in Ulster when compared with the rest of the UK, and that's why we were stunned when we looked at the figures to find that that residents of Northern Ireland were still paying very high motorcycle insurance premiums. And so, working with several well-known insurers, we have developed a wide range of schemes which are available to Northern Ireland residents. We think you'll be pleasantly surprised, and not just with the price. That's because our bike insurance policies are designed with the needs of the biker foremost in mind, and with features designed to help you make the most of your motorbike. There are a wide range of discounts available to residents of BT postcodes, but to ensure you get our best rate, you should call, as many discounts are only available over the telephone. Remember, our best rates are only available on the telephone, so make sure you call us on 0800 369 8580 before you buy a policy. "Living in Northern Ireland, motorcycle insurance has been quite expensive for me in the past. But I called Bikesure and the knowledgeable staff there gave me a great quote and cut my insurance costs significantly." Shane's rate is just £110.42 for TPF&T cover, or only £200.00 for Fully Comprehensive protection. James is 55 and has just got back into biking after a break owing to family commitments. He has always wanted a proper V-Twin and has just bought a 1997 Suzuki TL1000S for £1,500. Although he has no bonus available to use on this policy, James did own a Suzuki GSXR1000 until 3 years ago and had earnt 5 years NCB at the point he had to give it up. James has held a motorcycle licence for over twenty years and lives in a BT48 postcode. James's rate is just £346.14 for fully comprehensive cover, or a mere £144.40 for Third Party Fire and Theft.